To start, we were given a Baby Bullet as a hand-me-down. Both eco-friendly and cost-effective! 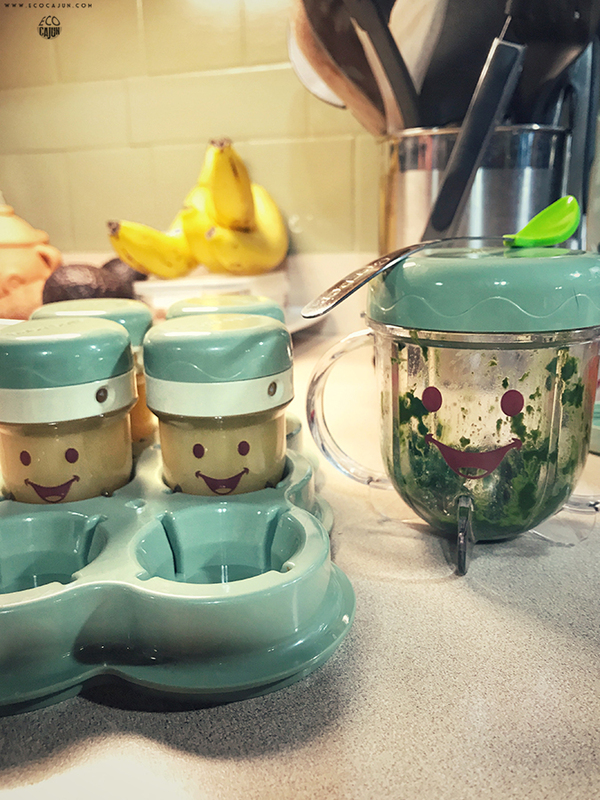 We gave it a good washing and sanitizing before using it, and it's come in extremely handy in baby meal prepping. 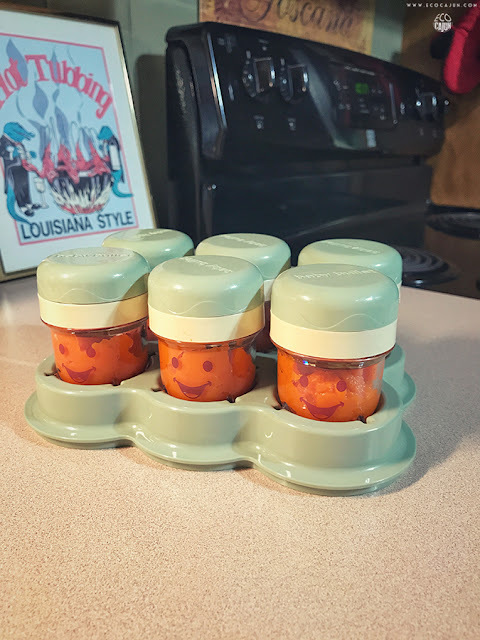 I WISH meal prepping for ourselves was as easy as it is for the baby! So far, Ariana has had oatmeal, rice cereal, avocado, sweet potato, peanut, egg, banana, carrots and spinach. So far, she has enjoyed everything, except probably the eggs. I think spinach might be her favorite of the foods she's tried (and from mama's perspective, has looked the grossest.) Next up on our menu are apples and yogurt! I use our rice cooker as a steamer for the vegetables before pureeing them. It doesn't take long, and it's easy to make multiple portions of food. And since A is still young and eating one serving a day, I'm able to freeze more of the prepped food. 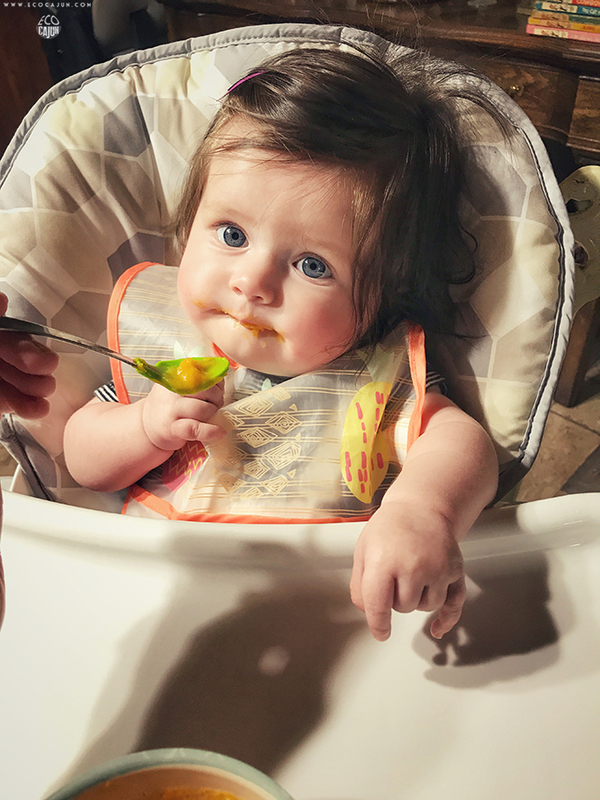 What I love about making her baby food is the ability to know what ingredients she's taking in. For the fruits and vegetables, I take extra care to buy organic so there's no danger of pesticides and chemicals. The oatmeal and rice cereal contain organic ingredients as well. The other thing I love about making baby food is the cost effectiveness. 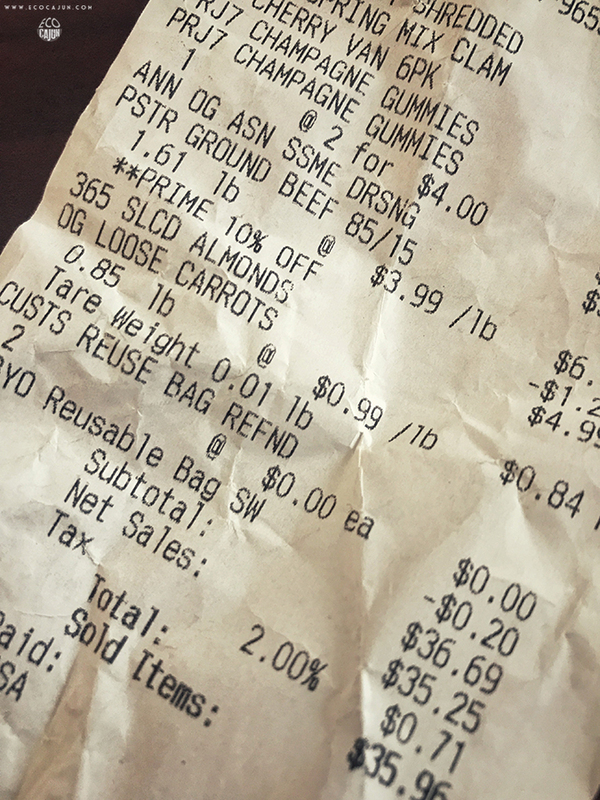 For example, I bought three loose carrots that cost 84 cents and made 4 or 5 servings. Not too bad for less than a dollar! I've also been able to get the produce package-free. It's been a fun journey trying new foods, and I'm excited to start combining foods for new flavors as Ariana gets bigger!